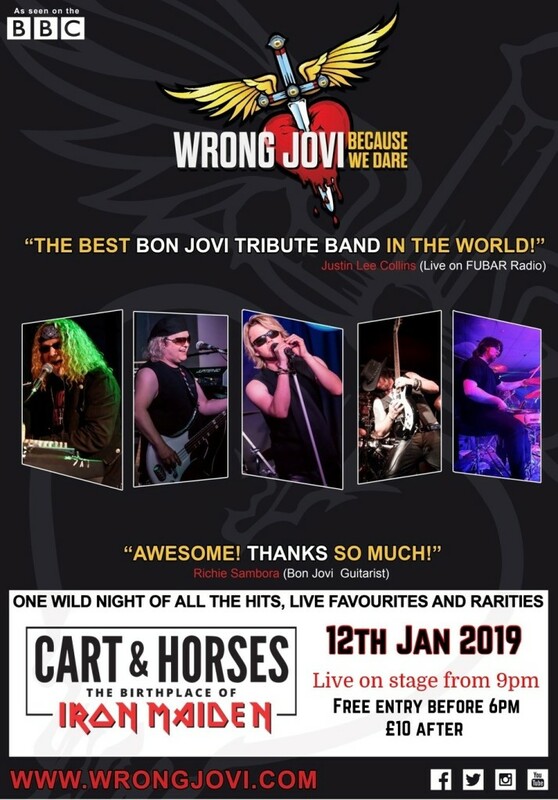 Wrong Jovi are the worlds premiere Bon Jovi Tribute band! From the greatest hits, to fan favourites , Wrong Jovi are the ultimate way to experience Bon Jovi. or £10 on the door, you can pay via PayPal on info@cartandhorses.london or www.wegottickets.com/event/457467 you can also get the tickets at the pub.